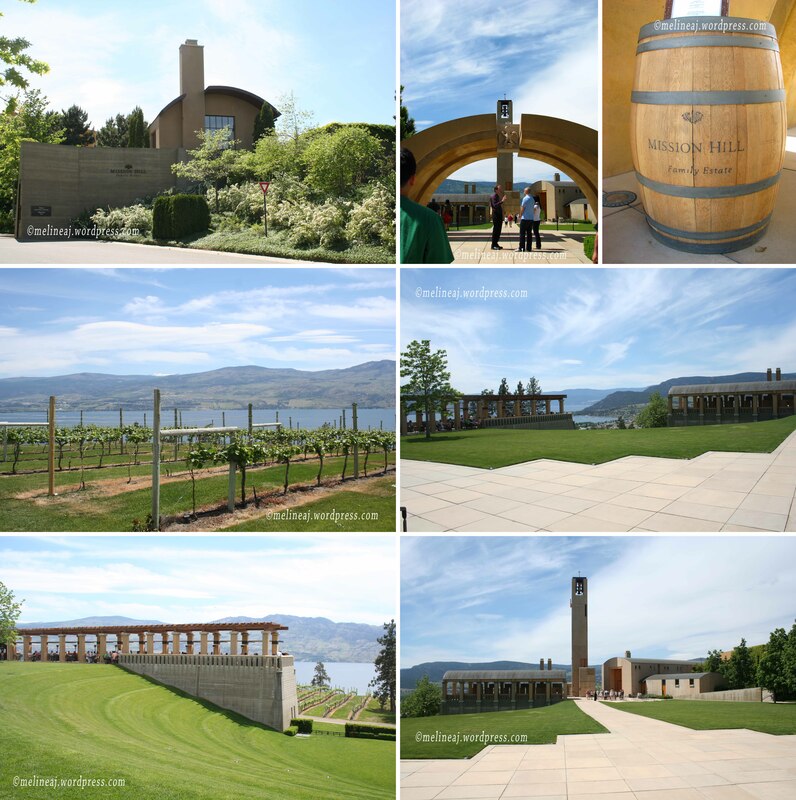 As mentioned in its name, Summerhill Pyramid Winery is well known for its pyramid shaped wine cellar. Established in 1986, it commits to produce 100% organic wine and has obtained the Demeter Biodynamic certification for their Kelowna vineyard in 2012 (ref). According to many comments in TripAdvisor, it seems like the pyramid was under construction and some clutters were unpleasant to some tourist. Luckily, it is now complete and hopefully, they tidy up the surrounding a bit. On the further side of the main boutique, there is the iconic champagne glass and bottle statue as well as a half globe embedded on the ground. 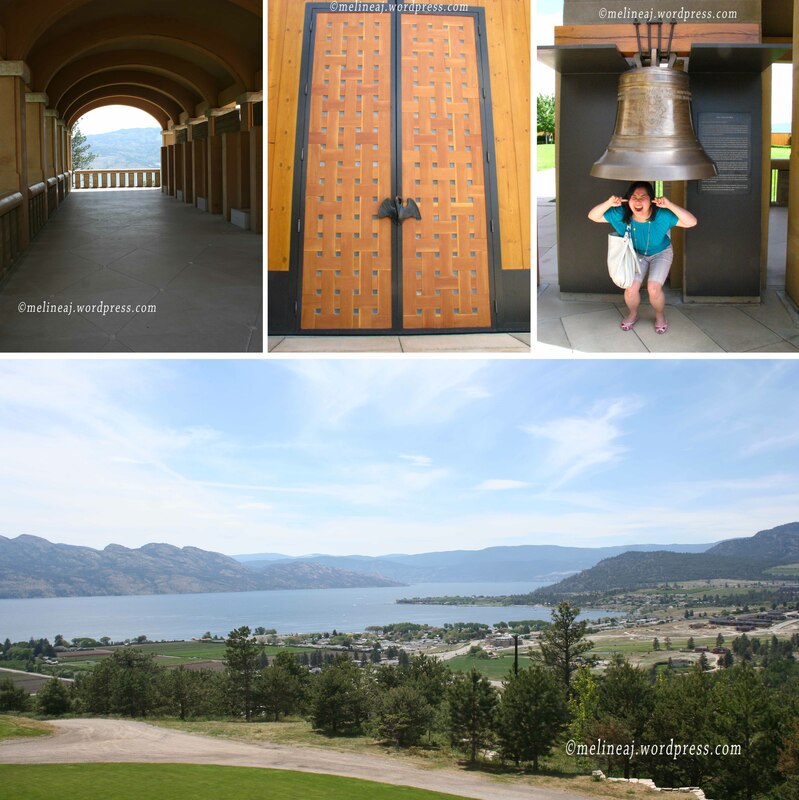 The view is stunning as Okanagan Lake stands as the background. On the lower ground, there is a small courtyard before the vineyard starts. When we were there in 2009, there was a wedding ceremony that was about to start. I bet with the perfect summer weather and a great view, the happy couple felt like they were on cloud nine! 🙂 Winery tour is available for $10 with complementary wine tasting and the $5 can be rebated toward a wine purchase (ref). Inside the boutique, there is a big window where you can see a lower room filled with the stainless steel tanks to ferment the wine. It was pretty cool to see how they make the wine. Cedar Creek Winery is a smaller winery in south of Kelowna. Established in 1986, this winery was recently bought by von Mandl Family, the owners of Mission Hill Winery, in early 2014 from its founder, the Fitzpatrick family (ref). However, the winery still open to the public and they still have winery tour ($8) with complimentary wine tasting. 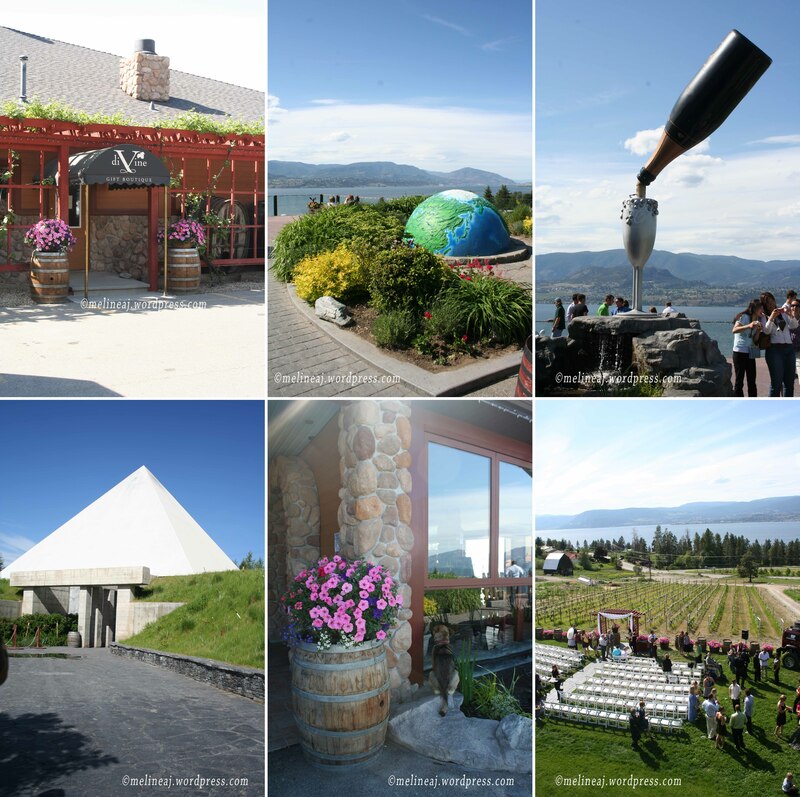 The winery actually has 3 vineyards where it grows the grape: one in Kelowna and two in Osoyoos (ref). The all-white exterior looked very elegant with a terrace facing Okanagan Lake. Apparently, they also hold summer concerts here. Imagine sipping a glass of wine while listening to your favorite artist under the summer sun… ah… what a life! Established in 1972 by the Heiss family, Gray Monk Estate Winery is probably the earliest winery existed in Kelowna area (ref). 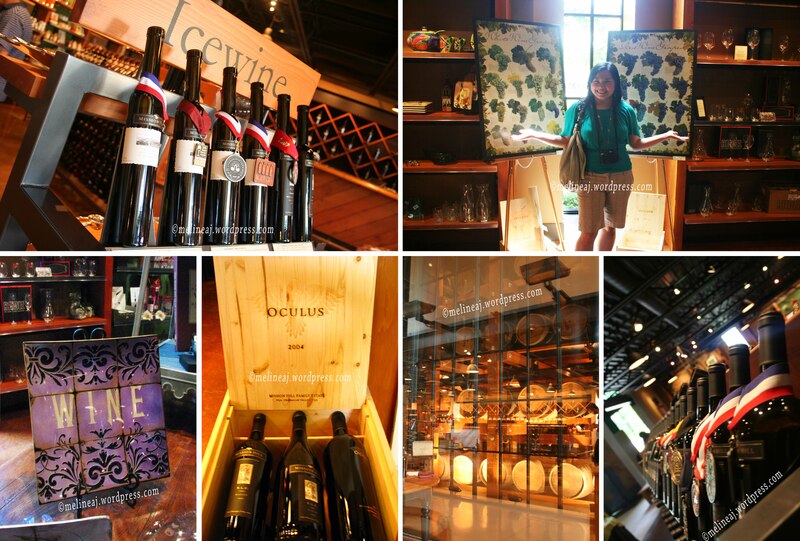 It offers a complimentary wine tasting of 4 wines from its Latitude and Estate Series (ref). We bought the Unwooded Chardonnay from its Estate Series and were very happy with its rich refreshing white wine – a perfect summer wine! 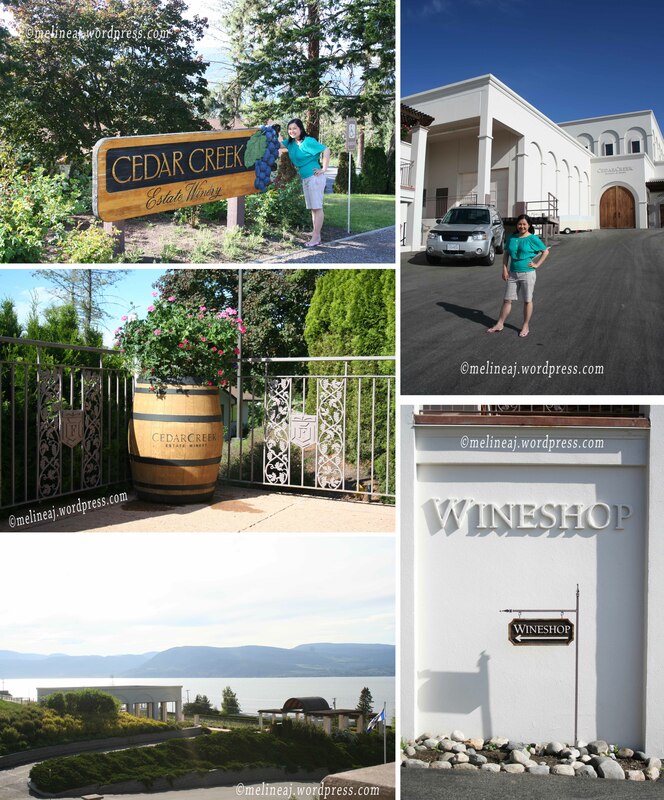 As I mentioned earlier, I work in wine industry and I have to mention Calona Vineyard Winery and Sandhill Estate Winery in this post since they are part of my company’s family hehehe…. 😛 Calona Vineyard is the pioneer of winery in Kelowna since it was established 1932. There is a small tasting room behind the shop where you can try some of their award wining wines. My personal favorite is Soverign Opal (ref), a crisp, fruity, refreshing wine that pairs perfectly with a lot of Asian dishes. Oh did I mention that you can also taste Wayne Gretzky Estate wine here! Yup, the famous hockey player dipped his toes into winery business too! Actually it has 3 different location for its vineyards: Niagara-on-the lake in Ontario, Okanagan in BC, and Sonoma in California – USA. I haven’t tasted any of Wayne Gretzky’s Okanagan wine but some people said that the wine is good. Recently, they renovated the building next to Calona Vineyard. 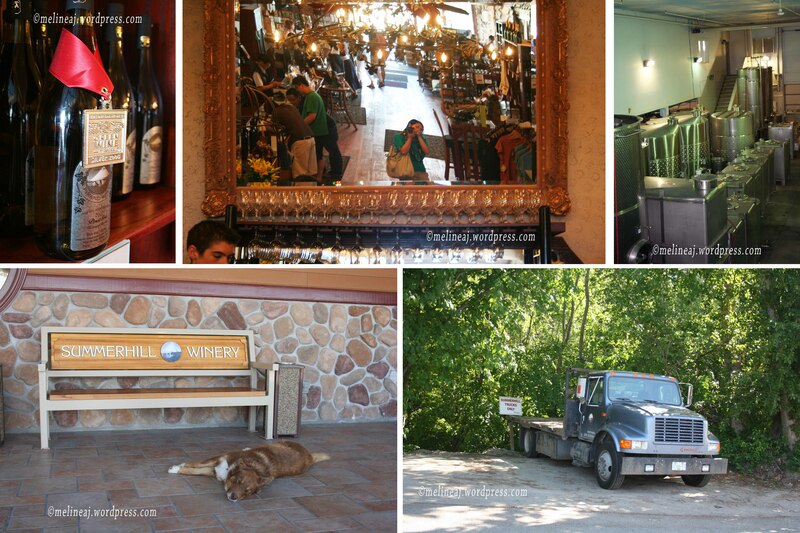 It is now open as Sandhill Estate Winery. The unique thing about Sandhill is that it has 6 vineyards locations which gives distinctive flavor to each of its wine (ref). The vineyards are located in Oliver, Penticton, and Similkameen Valley. The tasting room in Downtown Kelowna is very spacious and provides relaxing atmosphere. 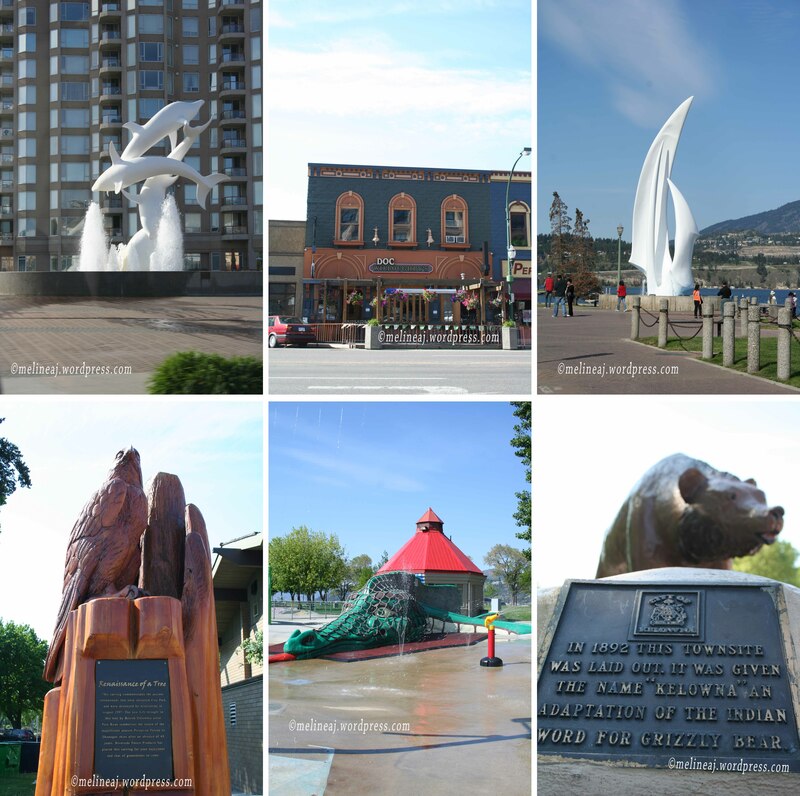 On the south-east side of Kelowna, The View Winery, Spierhead Winery, The Vibrant Vine, Camelot Vineyards Estate Winery, House of Rose Winery, and Sperling Vineyards are known as Kelowna Fab Five. Although they are smaller than other wineries, these boutique-style wineries have some very good quality wines for you to enjoy. 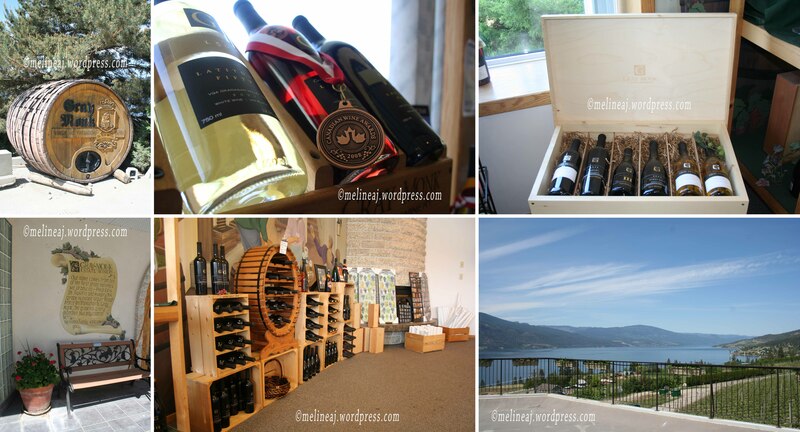 If you need a break from visiting these wineries, there are also some distilleries around Downtown Kelowna that worth visiting: Okanagan Spirits Craft Distillery (website), Urban Distilleries (website), and Tree Brewing Co (website). They have various alcoholic products such as beer, gin, whisky, vodka, fruits liqueur, and even Absinthe!!! 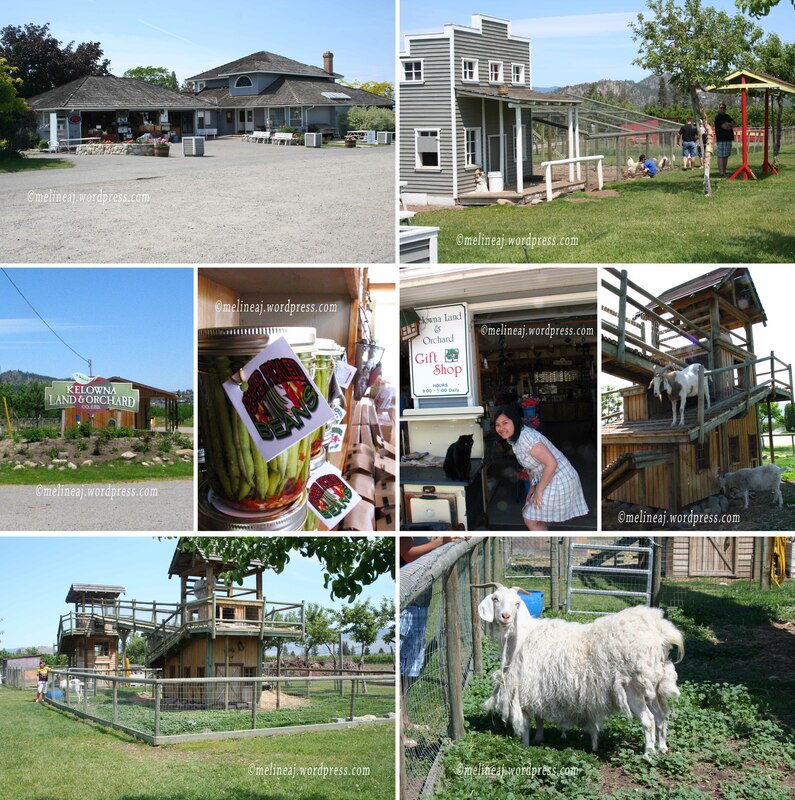 In 2009, we had a chance to visit Kelowna Land & Orchard near central Kelowna. It is sad to know that they was closed in 2010 since we had so much fun looking and feeding at the chicken and goats on the premises. The little shop sold variety of fruit and vegetable products including homemade apple cider, various pickled vegetable, local honey, etc. Oh and who can forget the black friendly kitty that guards the shop 🙂 It loves being pet by the visitors. Luckily, there are other different orchards around Kelowna nowadays – click here for more information. If you are in the area during cherry season (around July & August), I recommend you to buy a bag of cherry! Okanagan cherries are really goooood! If you are travelling south of Kelowna toward Osoyoos, don’t forget to stop at Okanagan Lavender & Herb Farm. Visit them in July to see the lavender blooms and have a chance to smell its calming fragrance.